Mains electric energisers are the most economical and reliable type of energiser and offer the highest level of performance for electric fencing installations. They plug directly in to a mains electric power source and therefore rely on the availability of a nearby socket. They are generally suited to permanent fence installations. A broad range of mains energisers are available depending on the size and type of fence required, from small animal or domestic pet enclosures to large scale cattle fencing covering large distances. The i-series energisers offer a high end range of products with additional functionality and expandability and can provide performance feedback to your mobile phone to enable you to always be assured of your fence status. 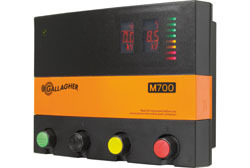 This mains energiser has performance indicator lights, built-in lightning protection to help protect the circuits from lightning strikes and RFI (Radio frequency interference) suppressed circuitry to reduce noise on radio and television sets. This energiser can be set to full or half power for flexible usage tailored to your requirements. This LED indicator shows you the output voltage at a glance. If only the red lights are on, you know straight away that there is a problem with your fencing. If the green lights are on, you can rest assured that all is well. Fast, simple and up to date. 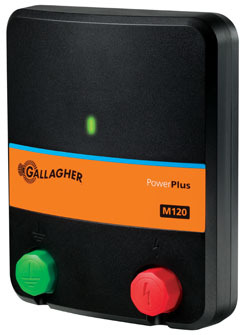 New easy to operate mains energiser for short runs of fencing, specially suited to domestic pets. Very easy to install using the wall clip supplied. With integrated lightning protection. 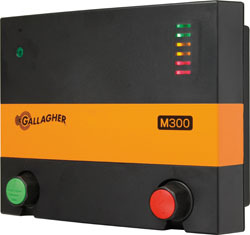 New easy to operate mains energiser for short runs of fencingup to 1ha. Very easy to install using the wall clip supplied. With integrated lightning protection. 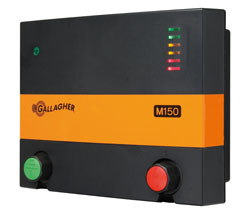 Entry level energiser of the range, supplied with the latest digital technology providing trouble free usage for years High voltage energiser with 1.9 Joules stored energy. Suitable for shorter multi-wire fences up to 9km. Strong conventional, low impedance, high voltage energiser with 3.2 Joules stored energy. Supplied with the latest digital technology providing trouble free usage for years. Suitable for multiwire fences up to 17km. Strong conventional, low impedance, high voltage energiser with 5.2 Joules stored energy. Supplied with the latest digital technology providing trouble free usage for years. Suitable for long multi-wire fences up to 23km. Strongest conventional, low impedance, high voltage energiser with 6.5 Joules stored energy. Supplied with the latest digital technology providing trouble free usage for years. 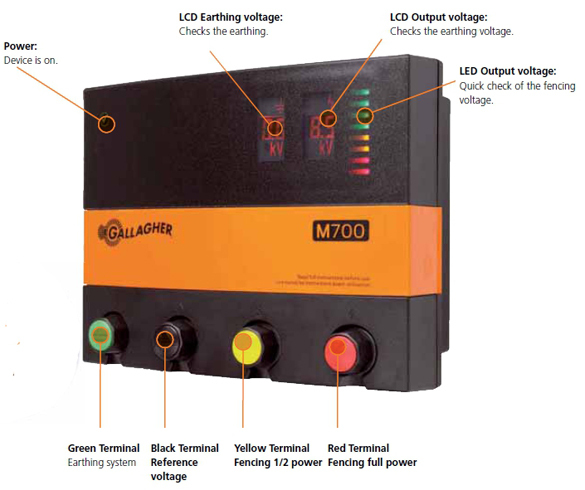 The LCD display provides accurate information about the fence voltage and voltage on the earthing. Suitable for long multi-wire fences up to 26km. 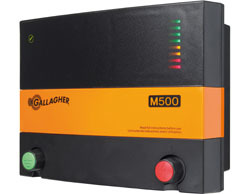 All Gallagher energisers are available from www.wildlifefencing.co.uk as well as all other Gallagher electric fencing products. Give us a call, our experienced staff will be happy to discuss your order. We can accept payment over the phone from all major cards and can have your order shipped out to you next day.